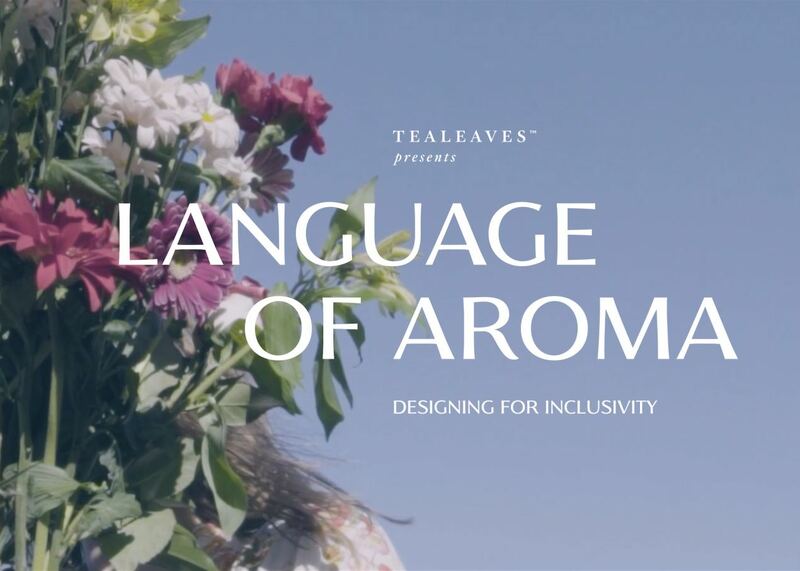 VANCOUVER, British Columbia – April 1, 2019 – PRLog — Today, luxury tea brand, TEALEAVES, released Language of Aroma: A Documentary on Communicating a Forgotten Sense, that asks the question: what if we could recognize, understand and communicate aroma? How might we connect with ourselves and the world? It features leading experts including Margaret Price, Principal of Inclusive Design at Microsoft, Laurie Pressman, VP of Pantone, Game of Thrones Language Creator, David J. Peterson and Wolfgang Georgsdorf, the inventor of a scent organ capable of helping depressed people. Our sense of smell is hardwired to dictate comfort, fear, and mate selection, yet in a recent study by McCann Worldgroup, 53% of 16-22-year-olds stated that they would rather give up their sense of smell than their smartphones. With technology, threatening to erode the emphasis we place on our senses, TEALEAVES drew in the knowledge of experts like sommeliers, chefs, aroma scientists and designers to explore the importance of aroma in our experience of the world, and the difficulty in describing it without a learned vocabulary. “The world of aroma has traditionally borrowed its language from the other senses. We often refer to aroma in every other way – music, tactility, taste… Anything but actual aroma,” says Lana Sutherland Co-Founder and CEO of TEALEAVES. “However, inclusivity is in the nature of tea: We see tea as both a catalyst for conversation as well as a companion in quiet moments of introspection. The beverage has a long history of being a sign of welcoming, respect, and hospitality, of bringing people together across cultural barriers and differences, but when we lack that shared vocabulary to bring words to those experiences, we are unable to share those moments.” says Lana Sutherland. This exploration is the second in a three-part series by TEALEAVES entitled “PALATE”, which explores three main design elements of tea blending: Color, Aroma, and Taste. Language Of Aroma builds upon TEALEAVES’ previous film Color In Sight, which dove into the importance of the detail of color in design featuring top brands including Nike, OPI, Herman Miller, Pantone, and artists such as KidRobot and Frank Kozik, which was also featured at SxSW 2017 (https://schedule.sxsw.com/2017/events/PP64249). Language of Aroma was featured at a panel at SXSW 2019 (https://schedule.sxsw.com/2019/events/PP88552) in Austin Texas, March 10, which brought together several experts featured in the film over a panel session to discuss inclusive design and the language of aroma. Established in 1994, TEALEAVES is one of the very few tea blenders in the world, known for crafting the highest quality teas in small batches by hand. TEALEAVES strives for perfection, driven by the never-ending quest to make the perfect cup of tea. With the philosophy of inspiring creativity and connections through the art of blending, TEALEAVES has gripped the hearts and minds five-star hotels and Michelin Star chefs, worldwide, as their tea brand of choice for over two decades. Sourcing ingredients from over 90 countries and keeping only 1% of the tea leaves presented to them from the world’s highest grade gardens, TEALEAVES hopes to stay people’s “cup of tea” for generations to come, whether in a five-star environment or in the luxury of one’s home. More information is available at TEALEAVES.com.